Portland is known as The City of Roses and every year there's a Rose Festival. 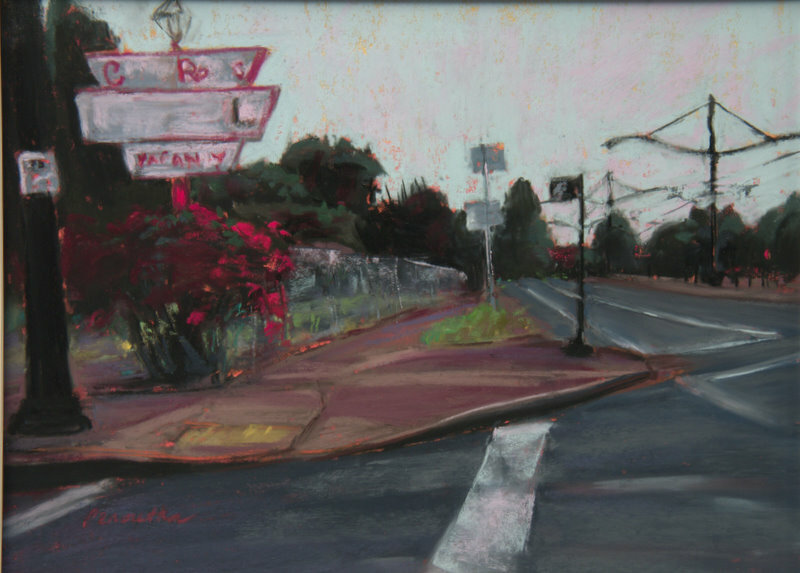 In honor of this year's event, here are a few paintings of scenes within short walking distance from my home in North Portland's historic Kenton neighborhood. The day I decided to paint the roses in my neighborhood it was overcast and looked like rain so I zipped around in my car, parked on side streets and dashed here and there taking photos. Back at home, I made some prints from my computer and voila! here are the results. 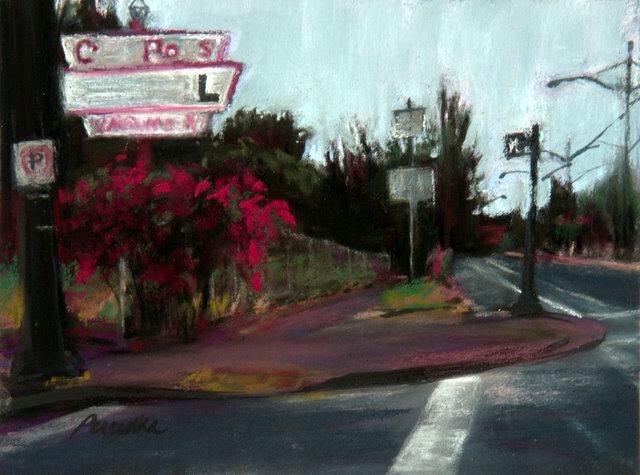 Featured are two versions of "The Old City of Roses Motel Sign" at the intersection of Interstate Ave. and Fenwick St. I had fun figuring out how to paint a chain link fence! I know which one I like prefer and why; what about you? 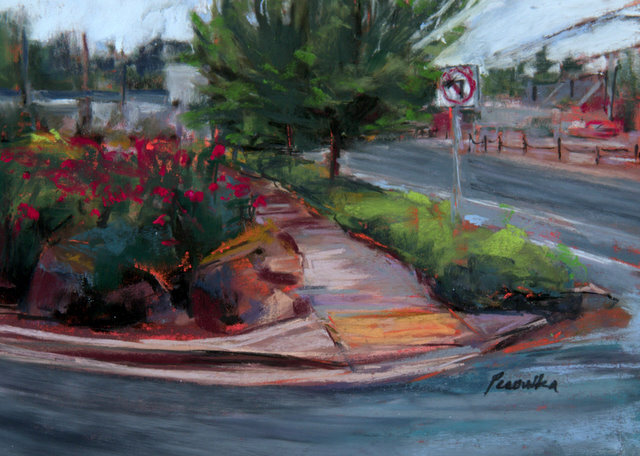 The third painting is of the tiny Kenton Neighborhood Rose Garden on Interstate Ave. and McClellan St. Have to admit, I jazzed it up a bit with more blooming roses than it actually had. Dang, I wish the weather would improve so I can get outside to paint! Souls heartier than I have been going to Sauvie Island and I can't wait to join them. When the sun comes back out! Yes, I am a fair weather painter. Important reminder: I'm having a "Drawing for a Painting" this month! You have to be signed up as a follower of this blog to have your name entered! These are so great. I shared them w my FB peeps. Congratulations! I think you have a very winning series, and they are spot on, IMHO. Wow, Casey, I'm so flattered! Thanks for your comments. Thank you, Celeste. You serve as an inspiration for me to paint more frequently.